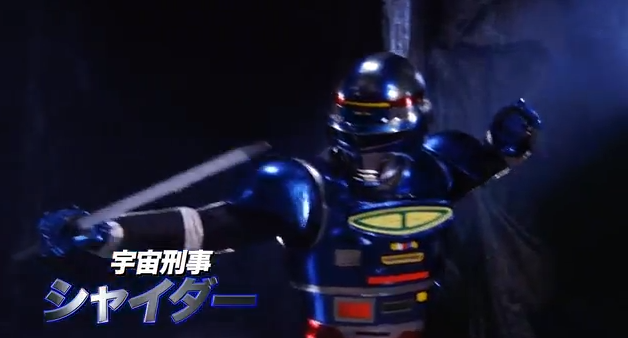 Here is the first video of the upcoming Gavan The Movie. 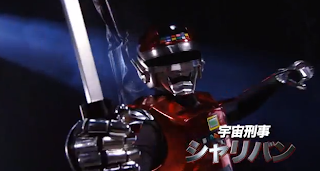 This includes a sneak peak of other sheriffs who will battle side by side with Gavan Type-G. The said movie will include Riki Miura, (GekiViolet/Gekiranger) and Kamen Rider OOO's Hiroaki Iwanaga (Akira Date/Kamen Rider Birth) as the new space sheriffs Sharivan/Hinata Kai and Shaider/Karasuma Fune respectively. Sharivan was previously portrayed by Hiroshi Watari and Shaider was portrayed by deceased Hiroshi Tsuburaya. Above is the latest poster of Gavan The Movie. The new Gavan will be played by Yuma Ishigaki (Gokusen, Hana Kimi, Azumi) as Geki Jumonji, supposedly the heir of Gavan's powers in line with the 30th anniversary Gavan and the Metal Hero genre. Gavan returned to the big screen through the movie Kaizoku Sentai Gokaiger VS Uchuu Keiji Gavan fighting against our sentai pirates and in the end teamed up with Marvelous in one of the most epic team up to date. Gavan The Movie will premier this October 20.